The hedge fund hasn’t got all it wanted from the world’s third largest tobacco company since going public in 2011. Yet it has done enough to ensure its investment is a huge financial success. TCI now wants a full privatisation. Its track record makes the demand hard to resist. 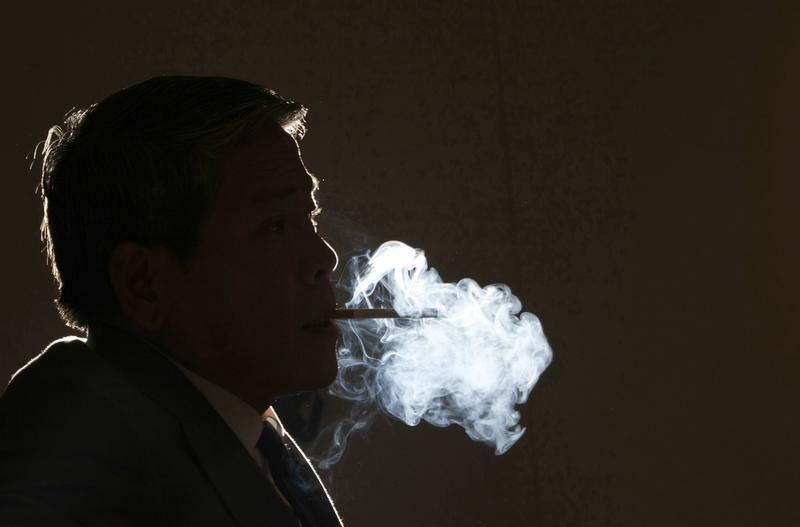 Japan Tobacco Inc (JT) President and CEO Hiroshi Kimura smokes during an interview with Reuters in Tokyo June 15, 2009. The Children’s Investment Fund (TCI) urged Prime Minister Shinzo Abe to fully privatise Japan Tobacco in a letter dated May 20. Tokyo agreed to sell around one third of its then majority stake in the company in 2011. The sale took place last year and helped to fund reconstruction in the country following its devastating earthquake and tsunami. The Ministry of Finance still owns 33.4 percent of Japan Tobacco. TCI owns 1.05 percent of Japan Tobacco, according to Eikon. Japan Tobacco has a market capitalization of $63.8 billion. Separately, Japan Tobacco on April 24 said that it would oppose proposals by TCI at its annual general meeting due to be held next month. TCI wants the company to increase its dividend to 150 yen per share, buy back 10 percent of the shares outstanding within one year, cancel treasury shares, and establish a “meaningful stock option plan”. Shares in Japan Tobacco have risen 107 percent since June 2011 when TCI revealed it held a stake of 1 percent. The local benchmark index, the Nikkei 225, has risen 48 percent over the same period. TCI has held an investment in Japan Tobacco since 2007, according to a person familiar with the fund.